Athlete Two will then perform the same sequence. When Athlete Two has completed the above, Athlete One will strip 2 x 45lb plates (Men) or 2 x 25lb plates (Women). 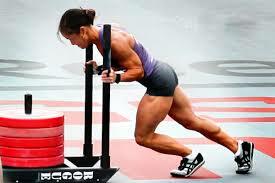 Then, Athlete One–DRAG the Prowler Sled from the CFE starting line to the 100m turnaround. Leave the prowler there. Sprint on forward to the 500m turnaround, then back to the Prowler Sled. 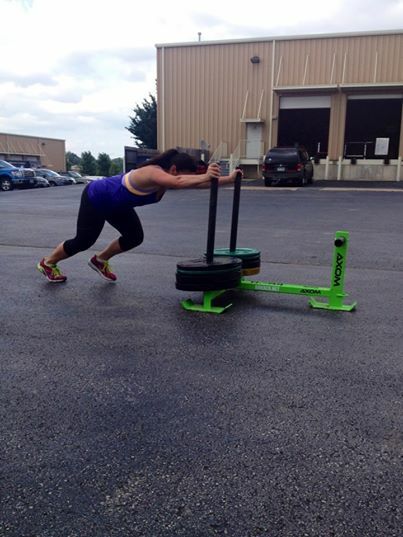 DRAG the Prowler Sled back to the CFE starting line, and immediately perform 15 burpees.